Eating fast food in a country known for its great gastronomy seems like a heresy? Discover the new meals on the go, to taste according to your desires! So obviously, in essence, fast food is food that is quickly prepared, quickly swallowed. We all know the biggest brands in the world such as “Mac Donalds”, “Burger King”, “KFC”. France is also crumbling under the restaurants of these brands that convey the image of junk food rather than that of great gastronomy. However with the help of a standardized food and marketing oriented to entertain children and attracted parents, their restaurants are always full. For information, a new brand in France but already huge in the US has arrived last year and plans to invade little by little our country, Carl’s Jr. But just beyond the franchises that we all know, many new names are starting to build a good reputation. And because no, definitely “fast food” does not rhyme with “unhealthy food”, many fast food places have developed healthy alternatives and corresponding to any type of diet. Adept burgers but anxious to consume good French gastronomy rejoice ! For the past two decades, France has seen the emergence of big new names in the Burger. 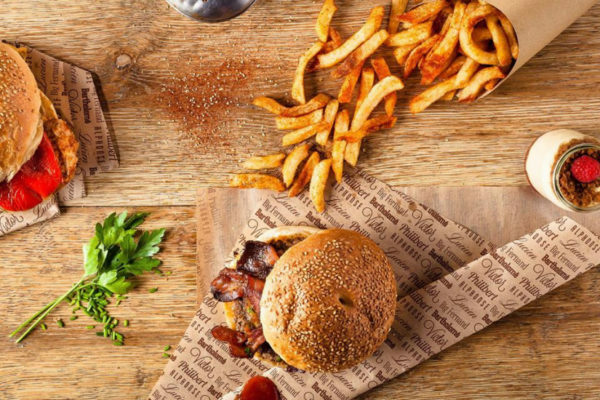 First, I introduce you to a well-known figure of 100% French fast food, “Big Fernand, the hamburger workshop”. The quality of the products takes precedence with a selection of 100% French meats as well as the cheeses used or the potatoes ! And to accompany your fries, or rather your “Fernandines”, the burgers’ workshop offers delicious sauces concocted by the chef. Let’s talk menu, you can choose from several formulas and several tasty burgers. “The Paulin” with a good marinated chicken and Tomme de Savoie, “The Victor” with veal and melting Fourme d’Ambert or one of three recipes with beef associated sometimes with Morbier and peppers (“The Basile “) sometimes with Raclette des Alpes and smoked breast (” The Bartholomé “). Among their menu, vegetarians will be able to taste “The Lucien” with mushrooms of Paris married with dried tomatoes and Tomme de Savoie with a crispy “Fernandines” cone. All homemade, please! Their success is well established and if you want to make your own idea you can find their establishments mainly in Paris and its surroundings but not only. “Big Fernand” has more than 40 addresses in the largest cities of France. 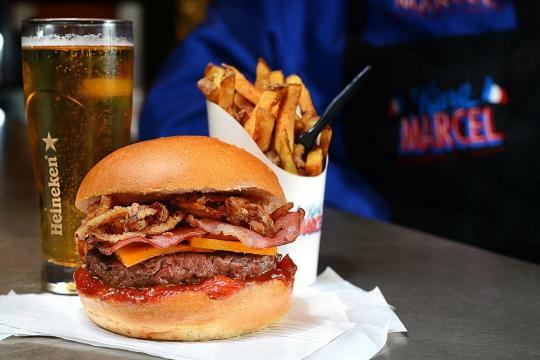 Another must-have when we talk about French burger, “King Marcel“, the kings of the Burger à la Française. Born from the imagination of two Lyonnais lovers of good food. Here too everything is homemade! Their varied and sharp menu (developed by Sébastien Amieux, renowned chef) combined with fresh and local products of high quality gives them immediate and exponential success. 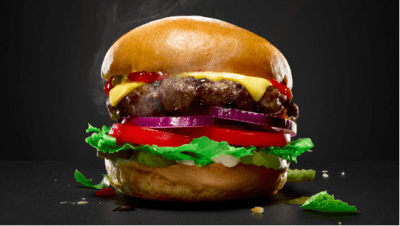 You will be able to select one of the two formats proposed by burger, classic or king for big appetites, as well as one of the three formulas of menus. In addition, you can request a double cheese supplement or double steak king. Six recipes are available including 4 beef recipes associated with Raclette PDO cheese, Saint Nectaire PDO, Emmental French PGI or refined red cheddar cheese. The unique chicken burger is rigorously combined with fresh goat cheese and green pesto. To satisfy the greatest number, know that “King Marcel” offers its six recipes of burgers in vegetarian versions. The same ingredients, less meat that will be replaced by a delicious vegetable cake. Today, “King Marcel” is no less than 7 restaurants (according to their own name “Marcel bistrot”) in the largest cities of France. These two franchises are also available for delivery. For diets such as veganism there are of course some alternatives including “Yabio” or “Burger and Wells“. Both franchises offer complete beef and chicken burgers, but also a fully vegan burger with deliciously melting vegan mozzarella on the palate and tofu steak with crispy vegetables. What if I do not like burgers? 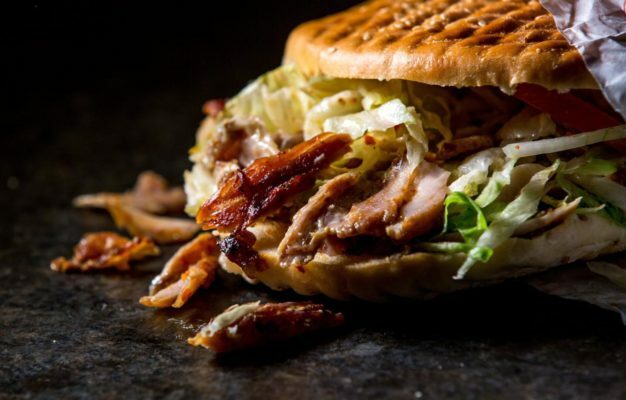 Rest assured you will find plenty of establishments across different French cities ready to offer you other fast prepared food to devour and more suited to your tastes. The Kebabs, for example, which consist of veal grilled on a spit and come from Turkey. You can add to your meat various vegetables, fries and different sauces, including white sauce, all to eat in a thick bread. From the preparation of the kebab comes the famous “STO” (or “salad, tomato, onions”) to easily designate what you want to add to its meat. This is the most classic for a kebab. The majority of kebab restaurants also offer tacos or wraps to diversify their cards a bit. But be careful because who says quantity of places says also big disparity of quality. To save time and choose the best restaurant near you, you can use tools such as “TripAdvisor“. Convenient ! If you are rather raw fish, you must try the inevitable “Sushi Shop“, a French chain created in 1998. The undisputed leader in Japanese gastronomy, and renowned not only for its rich menu of flavors, but also for its delivery service and for its more prestigious collaborations than any other. Kate Moss has been their muse and selected the contents of a complete box according to her tastes. Before, the brand has teamed up with Lenny Kravitz and the creator Kenzo to offer sushi boxes personalized by the two icons. And frankly, to taste selected sushi see created by such stars, it’s still nice? On the French side, Sushi Shop was able to conquer French gastronomy with Cyril Lignac, Jean François Piège and Anne Sophie Pic who also collaborated for different limited edition boxs. Each of the box in collaboration contains sushi available throughout the year but also between 3 and 4 exclusive recipes, imagined jointly by Sushi Shop and the artists solicited, both from the point of view of taste and visual. Original creations only reserved for the box proposed in limited edition. Recently a collaboration has given sushi boxes the colors of the well-known “Mr. and Mrs. X”. To see yourself offer cold or hot sandwiches, you will have to turn to either the “Subway” franchise that is everywhere in France and offers you to make your own sandwiches from the type of bread to condiments through the filling, either to one of the countless sandwich shops that occupy the market. For information, the best-selling sandwich in France, any brand confused, remains the inimitable ham / butter also known as “Le Parisien”. With an extensive dessert menu, you are also sure to find a fruity or chocolate treat to finish your meal. Easily identifiable thanks to their black storefronts, you will find them in most of the major stations of the Hexagon. “Paul” is as practical as it is chic to eat ! You also have “La Mie Câline” bubbly with its yellow colors that are displayed everywhere in France. 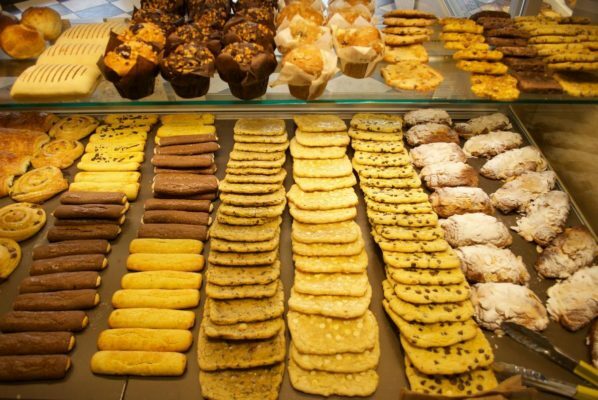 Well known for its incomparable maxi cookies, this sandwich shop franchise will allow you to enjoy crispy panini or a golden quiche like “La Brioche Dorée”. 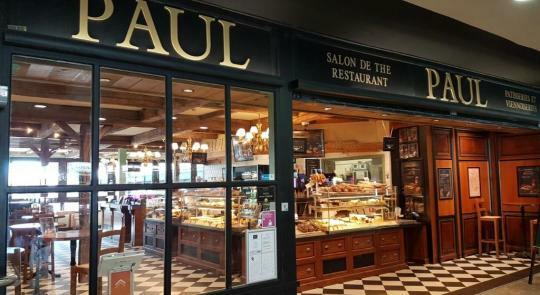 Note that “Paul”, “La Mie Câline” and “La Brioche Dorée” will offer you the opportunity to buy all kinds of bread as in a classic bakery. 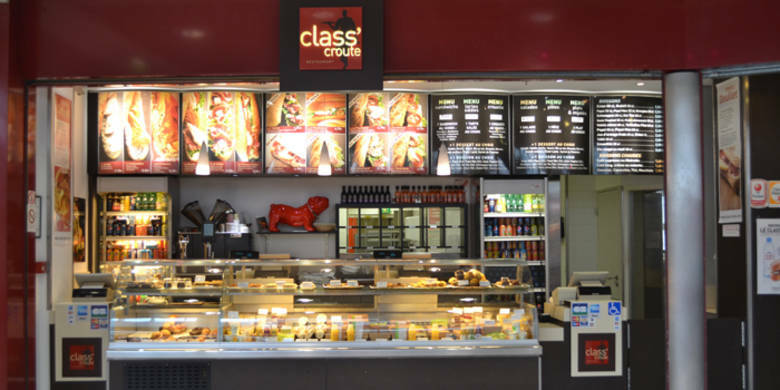 Finally “Class’Croute” is still a case a little apart. Initially reserved for companies, it offers sandwiches, quiches and other salads to take away or consume on the spot as its competitors mentioned, but it is also possible to consume much more complete dishes like tagliolini with its crumbled tuna, tagliatelle carrots and sauce chimichurri, a duck pie with potato and sweet potato or lasagna with salmon, leeks and mustard. A high gastronomy put at the service of a quick food and proposed to the delivery. 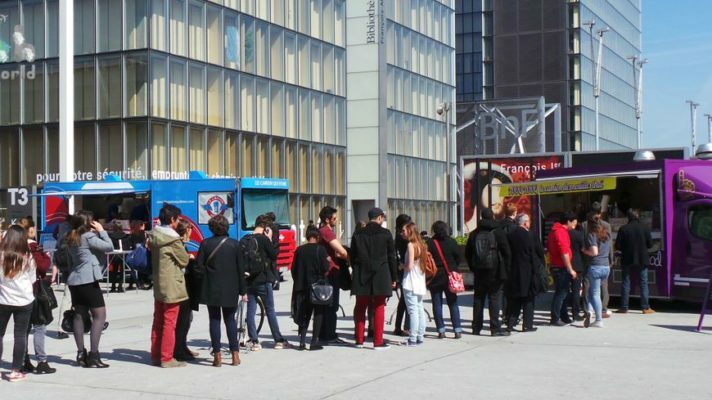 In recent years France has seen the number of foodtrucks on the streets explode. This principle of a restoration served on the street, is the apology of street food. And there is something for everyone, just like the diversity of “normal” restaurants. But then how to find its restaurants of a new kind while they are created so fast that they do not necessarily have the time to be listed on the directories or sites of comparators? Especially since most are mobile, that’s the point of the concept. Simply by downloading the application “Track the Truck” available on the App Store and Google Play. A safe way to find the perfect food truck in your area. 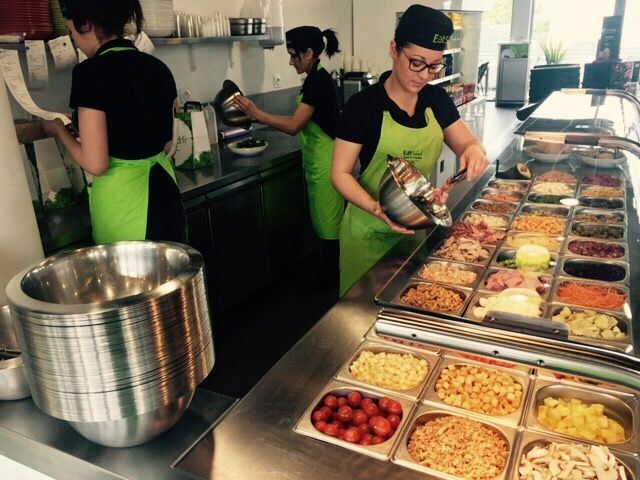 Several brands including “Eat Salad” or “Green sur mesure” offer you to compose your salads or your dishes of soup or pasta according to your desires. Complete and healthy menus that, in the end, keep basic fast food as the main idea of knowing a fast food to serve and easy to eat. Bravo ! Long live the fast good ! No more salads without sauce and no flavor, hamburgers that inevitably explode your glycemic index, you now have all the keys in hand to enjoy with pleasure your next quick meal in France.